The principle of the articulated steam locomotive, in which the locomotive is carried on two or more bogies, goes almost as far back as the steam railway locomotive itself, with the first example being built in South Wales and the USA as early as 1832. Throughout the rest of the 19th century various designs of fully or semi articulated steam locomotives were evolved, of which the Fairlie, Meyer and Mallett types are amongst the best known. But it was not until 1909 that the most successful design of them all emerged. Brainchild of Herbert W. Garratt, a British engineer with a wide experience in the UK and overseas, whose patented design for the Garratt articulated steam locomotive was initially licensed to Beyer, Peacock & Co Ltd. The first "Beyer-Garratt" locomotive to be built were a pair of 2ft gauge 0-1-0+0-1-0 locomotive for the Tasmanian Government Railways North East Dundas Tramway in 1909, which remain in service until the tramway closed in 1930. The first of them, "K1" was subsequently repatriated by its builder for preservation in 1947. Larger Garratt locomotives soon followed and to help publicise his ideas Garratt published a small pamphlet, the "Garratt Patent Locomotive", in 1913, which was subsequently reprinted by Beyer, Peacock themselves in 1919. Very few copies of this work are known to survive, and the copy of the second edition from which this new reprint has been taken has come from the Garratt family archives. 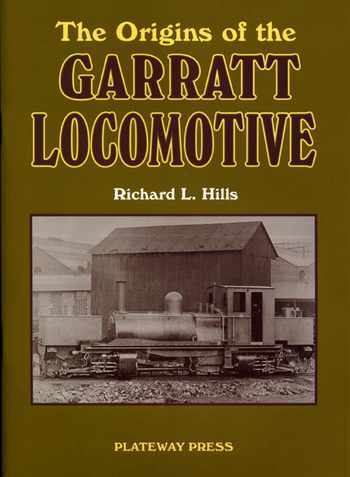 To increase its value to the reader a new introduction and brief biography of Herbert Garratt himself has been contributed by Richard L. Hills. Dr. Hills is the author of a comprehensive history of Beyer, Peacock & Co. Ltd. and is founder and first director of the North Western Museum of Science & Technology was instrumental in saving the Beyer, Peacock archives when the company closed. Dr. Hills' introduction is complemented by a number of period photographs, mostly previously unpublished, of Garratt locomotives built before 1920. At this time the Garratt locomotive was very much in its infancy and most of the locomotives illustrated are relatively small machines of 3ft 6ins gauge or less. This book has been designed to complement the earlier larger works on the same subject and is particularly topical at the present time when a number of 2ft 0ins gauge Beyer-Garratt locomotives have been repatriated to the UK for use on the new Welsh Highland Railway and elsewhere.